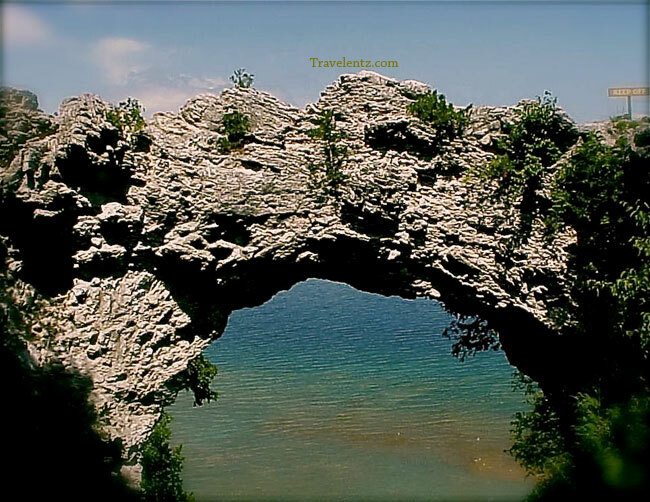 A glimpse of Arch of Rock in Mackinac Island is an amazing formation rock. We went there with hubby after our tour in Fort Mackinac. If you are inside the Fort Mackinac you can go out at the backside which is only 1/2 mile by foot to see this Arch of Rock.We got to see it from the top and bottom, and both are amazing. You should go to see this rock if you are visiting the Mackinac Island. 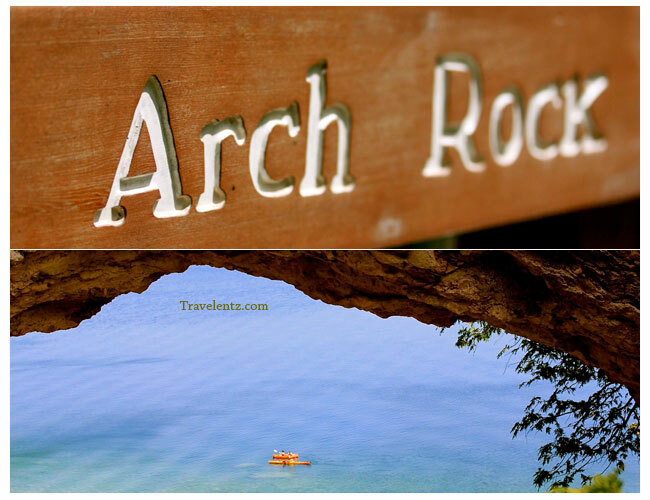 Arch Rock is a limestone formation of several hundred feet above the shores of Lake Huron. Approximately half mile from downtown. There are 3 ways to see the arch of rock if you are in Mackinac Island. 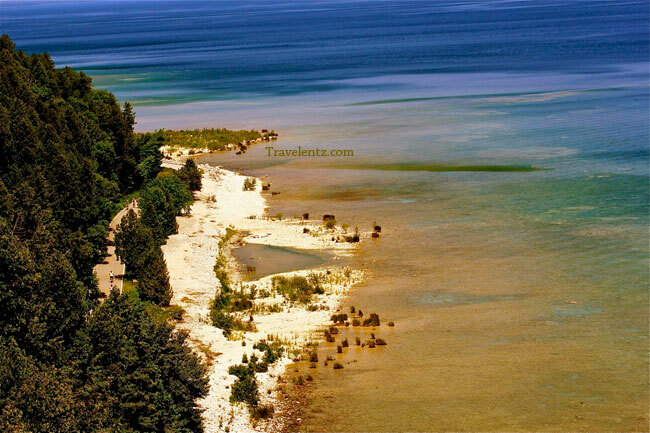 Travel Tips: Cars is not allowed in Mackinac Island, Bring your own bike to save more money if you are planning to see the islands and easy to escape from the crowd. Renting bikes is paid by an hour. During summer the island is so busy and crowded, so keep on eye with your kids all the time and most of all don't forget to bring your camera,be patient to take pictures of the arch of rock so many people during our tour. Some Photos I took during our tour in Arch of rock in Mackinac Island..Enjoy! The view of lake heron from the Arch of Rock. "little m" watching the view of lake heron and the arch of rock. 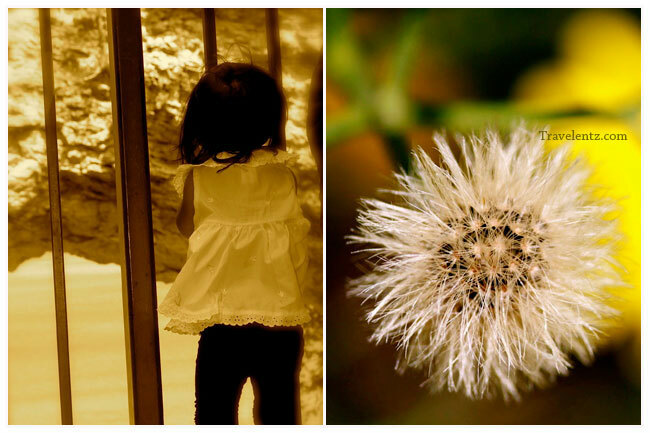 The dandelion I saw when we walked around the arch of rock. 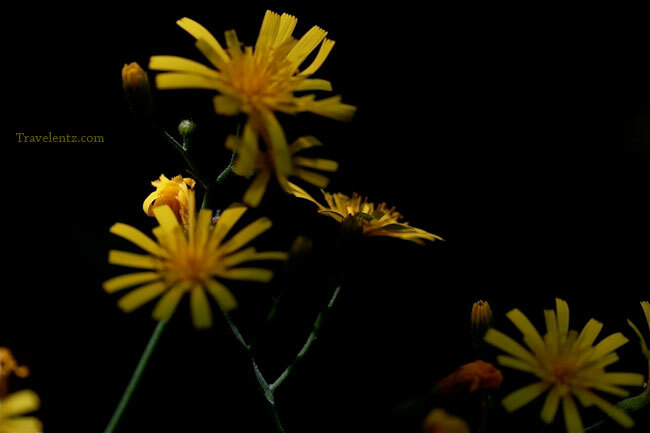 You can see a lots of wild daisy around the place. Wow, what awesome pics! I went to Mackinac years ago with my parents when I was a teenager, and I really want to get back there with my wife and daughter. Always reminds me of the movie "Somewhere in Time" with Christopher Reeve. Another great place in Michigan is the Henry Ford Museum and Greenfield Village in Dearborn. They have just amazing icons and buildings from American history, in some ways even better than the Smithsonian... the chair Lincoln was assassinated in and the car Kennedy was assassinated in, Edison's entire laboratory, Wright Brothers' bike shop where they made the first airplane, etc. You should try to bring your wife and daughter they would love there. Just don't bring them during peak season, too busy. I've been already in Henry Ford Museum and Greenfield Village. You're right they are amazing.I will post soon, some of my photos.You have a nice blog, keep writing if you have time.I like to reading your blog. Wow! Really gorgeous places and shots, mhie you are an inspiration!